Nora Wingfield Tyson is a retired United States Navy officer. In 2015, she was installed as the new commander of the Navy’s Third Fleet, making her the first woman to lead a U.S. Navy ship fleet. She retired from service in 2017. Tyson previously served as the commander of Carrier Strike Group Two (CCSG2), from July 29, 2010 to January 12, 2012; she was the first female commander of a U.S. Navy Carrier Strike Group. She then served as Vice Director of the Joint Staff beginning in February 2012. In July 2013 she was promoted to Vice Admiral and named as Deputy Commander, US Fleet Forces Command. A native of Memphis, Tennessee, Nora Wingfield Tyson attended St. Mary's Episcopal School, graduating in 1975. Tyson graduated from Vanderbilt University in 1979, majoring in English. Later that year, she attended Officer Candidate School and was commissioned in December 1979. In 1995, Tyson earned her Master of Arts in National Security and Strategic Affairs from the U.S. Naval War College. After a tour in Washington D.C., Tyson became a Naval Flight Officer in 1983. She then served three tours in Fleet Air Reconnaissance Squadron Four (VQ-4) in both Naval Air Station Patuxent River and Tinker Air Force Base, one of which as a commanding officer. Ashore, she served as airborne communications officer course instructor and officer-in-charge at Naval Air Maintenance Training Detachment 1079, NAS Patuxent River, Maryland. 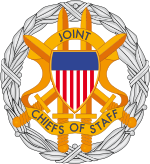 Other shore duty assignments included serving as a political-military planner and assistant in the Asia-Pacific Division of the Strategic Plans and Policy Directorate for the Joint Chiefs of Staff, the Director of Staff for the Commander of Naval Forces Europe, and an executive assistant to the Chief of Naval Operations. Sea duty for Tyson included serving as a navigator aboard the nuclear-powered aircraft carrier USS Enterprise and the operations officer on the training aircraft carrier USS Lexington. Later, Captain Tyson commanded the amphibious assault ship USS Bataan during a time when the ship provided support for Hurricane Katrina relief, as well as undertaking two deployments to the Persian Gulf in support of Operation Iraqi Freedom. In September 2007, Tyson was promoted to rear admiral (Lower Half) and took command of Task Force 73 in Singapore. On July 29, 2010, Tyson assumed command of Carrier Strike Group Two, with the nuclear-powered aircraft carrier USS George H.W. Bush as its flagship, becoming the first woman to command a U.S. Navy aircraft carrier task group. During the ceremony, she stated, "As far as the trailblazing piece, I understand I am the first woman on the job...but I'm a professional just like my fellow officers are, and my fellow strike group commanders." Carrier Strike Group Two completed its Composite Unit Training Exercise and Joint Task Force Exercise (JTFEX) predeployment underway training cycle and subsequently departed Norfolk Naval Base on its 2011 overseas deployment under the command of Admiral Tyson on 11 May 2011. The carrier strike group operated with the U.S. Sixth Fleet in the Mediterranean Sea and the U.S. Fifth Fleet in the Persian Gulf, with its aircraft flying missions as part of the War in Afghanistan. In an August 1, 2011 ceremony on the George Bush, Tyson was promoted to two-star rear admiral (Rear Admiral Upper Half). Former U.S. President George H.W. Bush administered the oath of office to Tyson via videolink from Kennebunkport, Maine. She served as Vice Director of the Joint Staff beginning in February 2012. In July 2013 she was promoted to Vice Admiral and named as Deputy Commander, US Fleet Forces Command. In 2015, she was installed as the new commander of the Navy’s Third Fleet, making her the first woman to lead a U.S. Navy ship fleet. Tyson implemented the '3rd Fleet Forward' initiative announced by CINCPACFLT Admiral Scott Swift, retaining Third Fleet operational control of forces, including a three-ship SAG and Carrier Strike Group 1, deployed beyond the hitherto Third Fleet/Seventh Fleet boundary at the International Date Line. She retired on September 18, 2017. Tyson resides in San Diego County, California. She lives in a home at Naval Base Point Loma. ^ Tom Charlier (2010-08-01). "Memphian becomes first woman to command Naval carrier strike group". The Commercial Appeal. Retrieved 2015-07-25. ^ a b Steele, Jeanette (1965-07-30). "1st woman at helm of U.S. ship fleet". SanDiegoUnionTribune.com. Retrieved 2015-07-25. ^ a b Charlier, Tom (August 1, 2010). "Memphian becomes first woman to command Naval carrier strike group". The Commercial Appeal, Memphis, Tn. Retrieved 5 October 2010. ^ a b Flag Officer Announcements U.S. Department of Defense Office of the Assistant Secretary of Defense (Public Affairs), January 19, 2012. ^ a b U.S. Fleet Forces Public Affairs. "Newest Three Star, Vice Adm. Nora Tyson, Named Deputy USFF". Navy.mil. Retrieved 2015-07-25. ^ "Alumnae Awards". St. Mary's Episcopal School. Retrieved 5 October 2010. ^ a b c d e f g "Rear Admiral Nora W. Tyson Commander, Carrier Strike Group Two". U.S. Navy Biographies. U.S. Navy. Retrieved 5 October 2010. ^ a b "Rear Admiral Nora W. Tyson Commander, Logistics Group, Western Pacific (COMLOGWESTPAC) in Singapore". carat090521-02. COMLOGWESTPAC. May 21, 2009. Retrieved 2010-10-05. ^ a b "USNS Amelia Earhart (T-AKE 6) Christening Ceremony April 6, 2008" (PDF). General Dynamics. Retrieved 5 October 2010. ^ "Rear Admiral Nora Tyson becomes the first female strike group commander". American Women Veterans. August 2, 2010. Retrieved 5 October 2010. ^ Colin E. Babb (Summer 2010). "Women Aviators Take Command" (PDF). Airscoop. Naval Aviation News. Retrieved 2010-10-12. ^ "First Woman Takes Helm of Carrier Group". Daily Press, Newport News, Va. July 31, 2010. Retrieved July 31, 2010. ^ "USS George H.W. Bush Departs for Maiden Deployment". NNS110511-07. USS George H.W. Bush Public Affairs. May 11, 2011. Retrieved 2011-05-12. ^ Reilly, Corinne, "Promotion Has A Special Guest: Former President", Norfolk Virginian-Pilot, 3 August 2011, p. B3. ^ Mass Communication Specialist 2nd Class (SW) Timothy Walter, USN (August 2, 2011). "CSG 2 Commander Pins on Second Star, Former President Administers Oath". NNS110802-03. USS George H.W. Bush (CVN-77) Public Affairs. Retrieved 2011-08-15. Wikimedia Commons has media related to Nora Tyson.